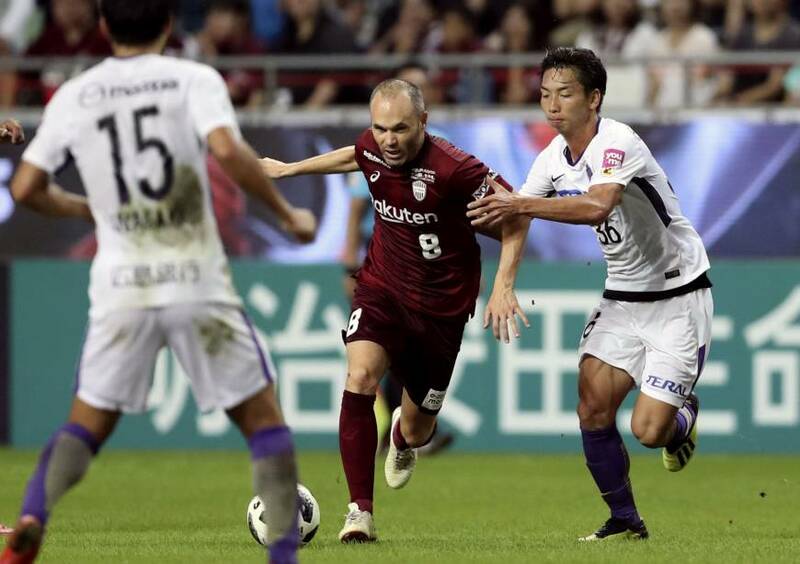 While Andres Iniesta has not made the matchday squad at either of Vissel Kobe’s matches in the Kanto area since his midsummer arrival, his name alone has drawn thousands of fans who might not normally make the trip to western Tokyo or central Saitama. A combined 100,000-plus fans attended Vissel’s away games against FC Tokyo on Aug. 5 and Urawa Reds on Sunday. While some foreign fans were lucky enough to acquire tickets before each match sold out, others were forced to seek out online resellers. Urawa are among just a handful of first division teams which sell tickets to home games online via the J. League’s English-language website. But a lack of seating charts and an isolated ticket pool often frustrates tourists, with tickets indicated as “sold out” to overseas buyers often readily available within Japan. As the league struggles to raise local attendance — gate averages across the J1 are down by roughly 600 compared to last year — the marketing potential of both global stars such as Iniesta and regional draws such as Consadole Sapporo’s Thai midfielder Chanathip Songkrasin may inspire a greater emphasis on the inbound market in the future. “(Urawa’s) attendance is declining and we have to take a serious look at how to attract more inbound tourists,” Matsumoto added. After the team’s 4-0 win over Vissel, Urawa defender Tomoaki Makino said the responsibility was not only on the club but also on the players to promote their image abroad. Discussions regarding proposed changes to the J. League’s foreign signing rules will continue into next month as stakeholders debate whether or not the league’s future lies in a structure similar to that of England’s Premier League or the Dutch first division. Clubs are currently allowed to sign up to five foreigners; three plus an Asian signing may play at the same time, and players from “J. League Partner Countries” such as Thailand and Vietnam are exempt. New proposals would see signing limits abolished and teams allowed to field up to five foreigners at a time regardless of nationality. A homegrown player rule requiring clubs retain a minimum number of players trained by Japanese clubs, similar to that enforced by UEFA, has also been discussed. While skeptics are concerned that such a change would reduce available minutes for younger Japanese players, proponents believe that the move would have a positive impact on Japan’s national team, which again came up short of a quarterfinal berth at this summer’s World Cup. “Expanding foreign player limits could create less room for Japanese players. But the quality of the league would go up, competition would intensify, the number of Japanese players going to Europe would increase and the national team would become stronger,” a league representative told a media briefing last week according to veteran journalist Yoshiyuki Osumi, who penned his objection to the idea in the Nikkei Shimbun. League officials have declared their intention to make a final decision on the proposed regulations in October, although any changes from the status quo may require the additional blessing of the Japan Football Association before they are implemented. Let it never be said that uniform sponsorships can’t lead to big things for small clubs. Such was the case on Sunday, when second division side FC Gifu welcomed Italian legend Alessandro Del Piero to their home game against Tokyo Verdy. The club’s marketing department had reached out to Del Piero earlier this year, attempting to lure him to the city, located an hour’s drive north of Nagoya, with a customized uniform featuring his name. It turned out not to be the back of the uniform, but rather the sleeve that got the former Juventus great’s attention: it featured an advertisement for a local Captain Tsubasa-branded futsal court, with lead character Tsubasa Ozora front and center. Del Piero is one of many European stars who were deeply influenced by the series, and the pitch — plus perhaps some behind-the-scenes efforts by J. League officials — was enough to bring the former No. 10 to Nagaragawa Stadium where he held a clinic for local children and participated in pregame ceremonies.